Today, the EVP,Development & Capital Inv of Hudson Pacific Properties (NYSE: HPP), Christopher James Barton, sold shares of HPP for $665.9K. In addition to Christopher James Barton, one other HPP executive reported Sell trades in the last month. HPP’s market cap is $5.13B and the company has a P/E ratio of 47.30. 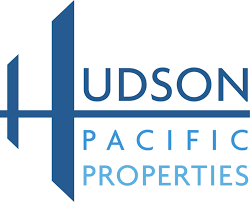 Currently, Hudson Pacific Properties has an average volume of 555.1K. Based on 3 analyst ratings, the analyst consensus is Moderate Buy with an average price target of $36.67, reflecting a 12.3% upside. In the last 30 days, insiders have sold $665.9K worth of HPP shares and purchased $197.8K worth of HPP shares. The insider sentiment on Hudson Pacific Properties has been positive according to 49 insider trades in the past three months. This sentiment is slightly higher than the average sentiment of company insiders in this sector. Hudson Pacific Properties, Inc. is areal estate company. It owns, operates, develops and acquires office, media, and entertainment properties. The company operates through two segments: Office Properties and Media & Entertainment Properties. The Office Properties segment manages office properties located in California and Pacific Northwest.